This is the extension roundup for the second quarter of 2016. Again I picked a couple of TYPO3 extensions, which are IMHO worth a look. The extension publishing activity speeded up in the last weeks, so it it hard to find a good selection. If you want to see a specific extension in this list, please drop me a note and will consider your suggestion. You probably note while reading this post, that one category is completely missing: E-Commerce. The reason is that there is so much action currently, that it is worth a separate article, which I will publish in the next weeks. Shariff is a solution provided by the german Heise Verlag which prevents sending data to social media networks without the consent of the website visitor. 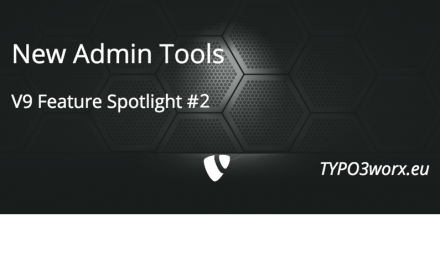 This extension provides the Shariff implementation for TYPO3 CMS including a backend module, a viewhelper and a plugin. The extension provides a forum running within TYPO3. It is the successor of the well known extension „mm_forum“. As it is a complete rewrite, there is no migration (at least at the time of writing) and in the public version. Security is a very current topic in most IT publications. This extension enables you to provide a two-factor-authentication via various means, like one time passwords, OTP tokens or Google Authenticator. Two-factor-authentication is possible for backend and frontend users. Prerequisite is a running „privacyID3a“ server to authenticate against. This one is also about security: Focus lies on keeping your installation up to date and secure. The extension is a connector to the well known monitoring system nagios. In order to work properly is must be configured on the TYPO3 and the nagios side. The configuration takes place via the extension manager and the extension configuration options. If you have a nagios system running, the setup looks quite straight forward. Otherwise you must setup a nagios server first. The Code Highlighter provides a new content element, which allows well formatted and high-lighted source code in the frontend. The extension relies on the open source syntax highlighter „Geshi“. A backend module allows the installation of new and the update of already used syntaxes. Last but not least, livestyle is also already a topic for TYPO3 extensions ;-). In this case the BMI is the topic. The Body Mass Index (BMI) is a measure for the relation between the height and the weight of a person. If it is too high, the health is “potentially at risk“. With this extension, you can provide an easy solution for your customers to calculate their BMI. Very informative and up-to-date. Thanks. Can’t wait to read your post on the e-commerce extension. Yeah indeed, It’s really excitement things for Ecommerce + TYPO3!